The term Product/Market Fit was coined by Marc Andreesen back in 2007 and it’s been a key goal for any new product or startup ever since. But like any buzzword, it is often oversimplified and misunderstood. 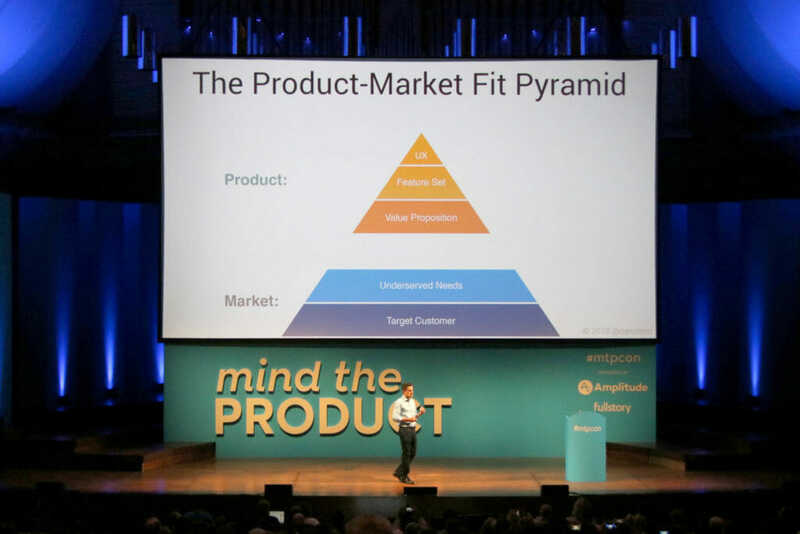 In this talk from Mind the Product San Francisco, Dan Olsen, the author of The Lean Product Playbook, tackles the key components of product/market fit and how to achieve it. While each company and product is obviously different, this is a framework covering the universal conditions and patterns that have to hold true to achieve product/market fit. Each layer in the pyramid is a key hypothesis that you need to get right in order to build the next layer and ultimately achieve product/market fit. 1. 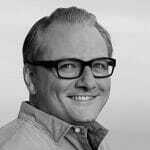 Target Customer – who are we trying to create value for? 2. Underserved Needs – for that target customer, what are their needs? Taken together, the first two layers – target customer and underserved needs – are the market. You don’t control the market – you can choose which customers and needs to target but you can’t change those needs. What you do control are the decisions you make at the next three layers in the pyramid – the product. 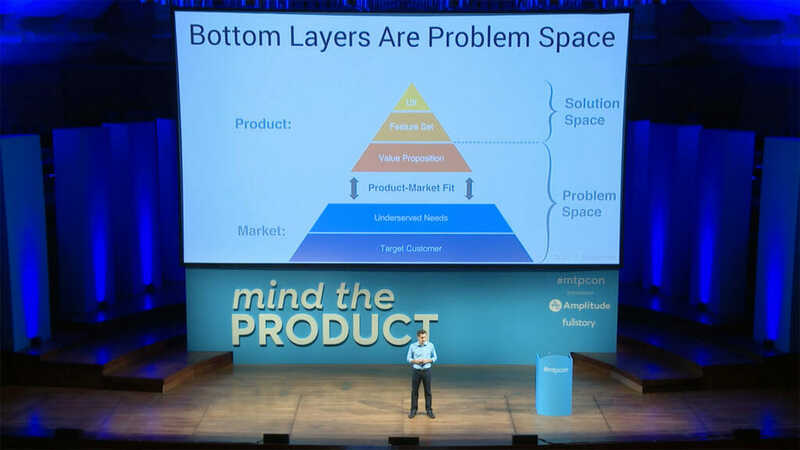 As we all know a lot of new products and companies fail because they don’t achieve product/market fit and Dan argues that this is because too many teams focus too much on the top two parts of the pyramid – the solution space of features and UX – while ignoring the foundations of the problem space. It’s all too easy to get stuck in the solution space, after all we all love designing products and jumping in to building things. 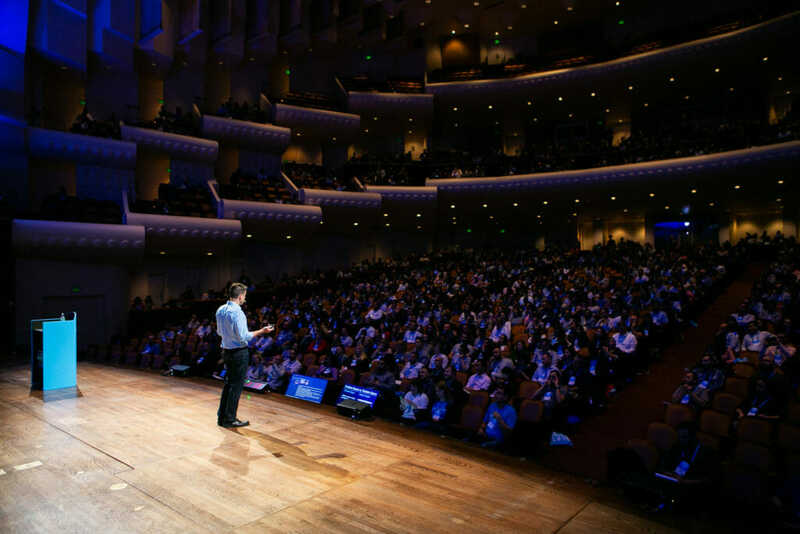 But our job as product managers is to focus on the problem space, explore it as much as possible, and make sure that what we build is actually solving a customer problem. Having a clear picture of your problem space also lets you understand who your competitors really are – what other ways your customers can solve the problem you’re solving. Often you’ll find it’s not the other startup in the space but something as prosaic as pen and paper or Excel spreadsheets. Because our goal is to explore the problem space as much as possible, it’s key to open up to divergent thinking and embrace new ideas. Based on our customers and their needs – what are the benefits of our product for them? You’ll soon start to find clusters of product benefits that ladder up to higher-order customer benefits like empowerment, saving time, or saving money. Bearing these higher-order benefits in mind through the rest of the product/market fit process ensures your value proposition and product solutions always tie back to the problems your customers have. Your Value Proposition needs to answer two questions: Which customer needs will your product solve, and how will your product be better than competitors? A great way to start defining your value proposition is to use the Kano model. By using the Kano model it’s easy to start mapping out possible solutions to customer problems against three axes: must-haves, performance benefits, and delighters. And one of the key lessons built in to the Kano model is that these change over time – what starts as a delighter often quickly becomes a must-have – so this job is never done. In order to find product/market fit you shouldn’t try to compete on must-have features, just make sure you have them and do them well enough. Where you need to spend time and effort is on your product’s unique differentiators, and the combination of a benefit that outperforms the competition and a unique delighter can be incredibly powerful. As product managers it is our job to answer the question “how will our product be the best?” by focusing on the problem, always ensuring our work ties back to the problem space and the customer need, and avoiding solution pollution. Watch the full video for many more examples and practical takeaways on how to do this well!